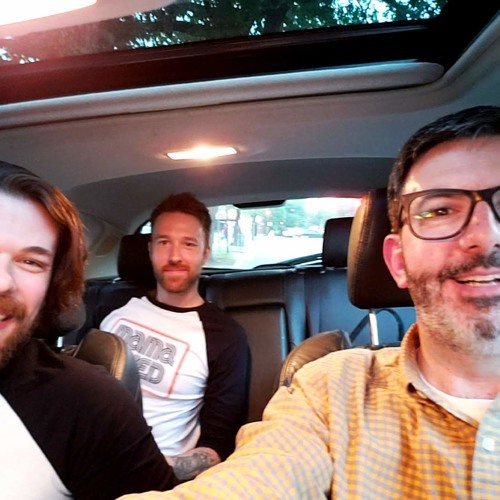 Kyle and Brandon of Chicago band (and Chicago #next2rock finalist) Midwave join me at Budacki's Drive In (4739 N Damen Ave, Chicago, IL 60625) for hot dogs and conversation. Come to Cubby Bear on August 30 to see Midwave, Like Language, Friday Pilots Club, Take the Reins and the Giving Moon compete in the local #next2rock finals! Discussed in this episode, presented by Boost Mobile: The 2 members of another #next2rock local finalist, Like Language, just got married. Does that put pressure on Midwave? The tyranny of ketchup. WHO'S AARON?? Midwave comes through in the clutch! Last minute booking heroes! Midwave is defiantly uncategorizeable. I don't play songs; I jam them. The benefits of "cold calling" established musicians. Midwave's OKGO connection. Brandon's mom ghosted him on Facebook. The neighborhood near Lawrence and Damen is improving: Dante's Pizza is there now! The importance of local music neutrality. SYNTH BATMAN Ace the Bat-Hound vs. Krypto the Superdog: "No one ever knows Ace!" Classic rock: A midwestern rite of passage. You can buy Zeppelin shirts at Kohl's. PARKER! People in Chicago are completely desensitized. Midwave's metal past.